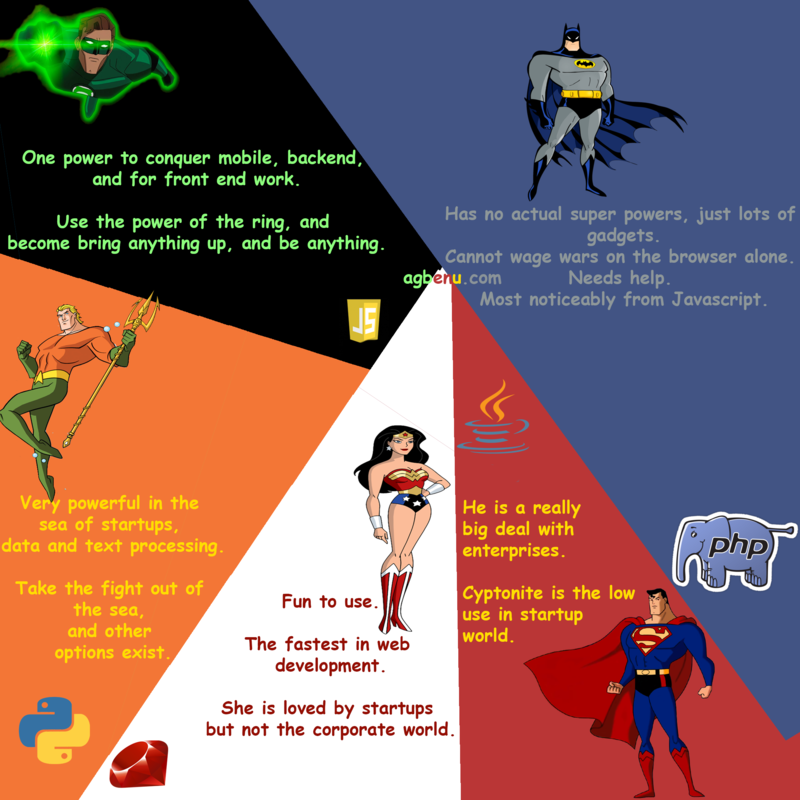 Earlier on a post was written comparing DC Comic Heros to Programming languages. This graphic below is a summary of that post. Enjoy and do share.